Australian immigration laws are complex and dynamic. There are more than 150 different visa subclasses, each with its own set of criteria and requirements which the visa applicant must satisfy in order to be granted a visa. Due to the complexity of Australian immigration laws, it is recommended that you consult a migration agent and lawyer who can assist with arranging your visa applications. The 457 visa migration agents listed below were compared based on the key elements that all individuals who are considering migrating to Australia should consider. Is the migration agent(s) also a practising lawyer? Does the agent advertise that they cater to both individuals & companies? Is a free assessment advertised? Is the agent centrally located in a major city? Does the migration agent advertise that they offer other services? Does the agent employ more than one migration agent/lawyer? Are regular migration updates provided on their website? Key memberships/affiliations as shown on the agent’s site? 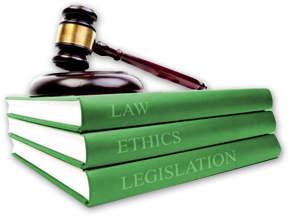 VisaTEC Legal team consists of experienced lawyers in Melbourne. We offer and deliver tailored Visa & Immigration assistance at affordable rates. Acacia’s website states they have a high level of expertise with a success rate of over 98%, even taking into account the difficult cases the firm takes on. No Borders website states that they have a 100% money back guarantee focusing on fulfilling their clients Australian dream. Experienced in industries including: medical services; agricultural produce; hospitality; manufacturing; and mining. Agency combines immigration services, international recruitment and contract management in a package tailored to the needs of migrants. What is the cost of the 457 visa migration agent firm, and does it suit your situation? When you come to Australia will you be setting up a complicated structure (e.g. a new business or company) and does the 457 visa migration agent cater to such needs? What other services will you require and does the 457 visa migration agent have a good track record with these services? Does the migration agent for 457 visa holder have a strong reputation and track record? Is there more than one 457 visa migration agent at the firm who can personally deal with you over the duration of your stay? While the authors of 457visacompared.com.au have made their best attempt at comparing 457 visa migration agent services, we cannot guarantee the accuracy of all the key elements featured which are subject to change and are happy to make changes based on any feedback provided. The authors also contend that each immigration case is unique and must be examined individually to determine the best firm for migration representation.